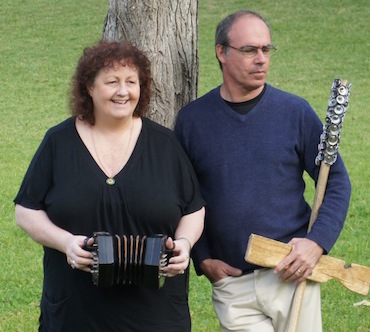 Helen & Tony Romeo have been members of the Bush Music Club since the late 70's and early 80's, and have a strong passion and affinity for Australian bush songs, music, dance and poetry. Tonight gives them the opportunity to present some of the favourite material they have gathered over their years in bush bands. Christina has been a community choir leader for close to 20 years and is a composer, sound artist and performer. As a community choir leader she has worked with grass-roots choirs all over the state and has organised special place-specific weekends (Sing Cockatoo, Sing Canowindra, Sing Dubbo, Forbes Festival) which combine community harmony singing and exploring place and culture through song. She performs as a soloist and has sung with various vocal ensembles including Blindman’s Holiday. She recently completed a soundscape project with seniors’ groups for Hurstville and Rockdale Councils and has produced numerous of her own and other people’s recordings including John Warner’s Yarri song-cycle. Her debut solo cd is Rumours of Summer (2011). In 2009 she was granted the annual Folk Fellowship from the National Library of Australia to unearth songs from the Oral History archives and arrange them for a massed choir. 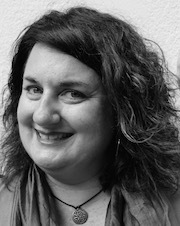 In 2014 she produced and was musical director for a full-length play with music, Lola’s Keg Night (Merrigong Theatre) created in conjunction with playwright PP Cranney. In 2015 she created Amulet, a project for Hurstville Council combining singing, storytelling and photography. This year she has written music and performed in a new show called 1917:strike, which celebrates 100 years since the Great Strike of NSW through stories and song, and was choral director for a Leonard Cohen tribute concert in the Spiegeltent - Tower of Song - for the Sydney Festival.